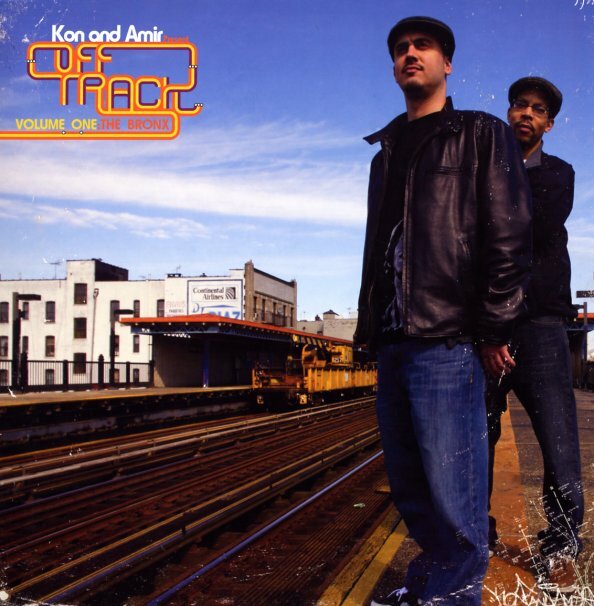 One of the hippest compilations we've heard in years – a treasure trove of rare grooves from legendary crate diggers Kon and Amir! The pair have been known for years from the massive beats in their On Track mixes, and from subsequent reissue singles – but this set has them moving firmly off track, for an even more obscure blend of tracks – all of which show us an even hipper side of the pair's tastes! Amir's selections here are especially great – a wealth of great jazz, Latin, and world-styled grooves – nearly all of which have never been reissued before. Kon's tracks are often a bit more clubby – and together with Amir's, they make for a wonderfully rounded compilation – one that cares little about its own premise or posturing, but works hard to put a wealth of under-discovered grooves on the market. Titles include "Esto Me Gusto" by Juan Demonio, "Tune For LN" by Larry Nozero, "Nestero Ti Patte" by Marius Cultier, "Holding On (Kon's edit)" by Darryl Douglas, "Destroy The Nihilist Picnic" by The London Experimental Jazz Quartet, "Soar" by Claudio Mederios, "Opiniao" by Zelia Barbosa, "Darling I Love You (Kon's edit)" by Jorge Santana, "When I Comes To Loving Me (Kon's edit)" by Executive Suite, "Steel City Disco (Kon's edit)" by Steel City Orchestra, "Country" by Adolphe Parillon, "Douga" by Quintette Guineenne, and "81" by Imp Express. © 1996-2019, Dusty Groove, Inc.